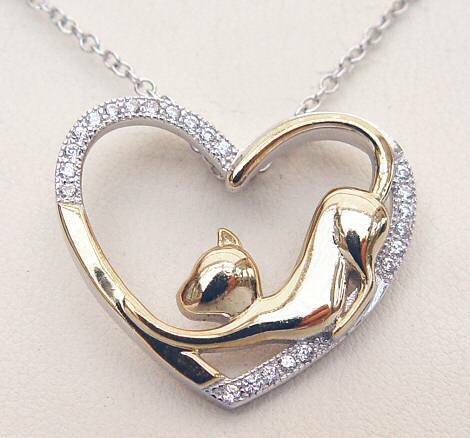 Love Black Cats Necklace. 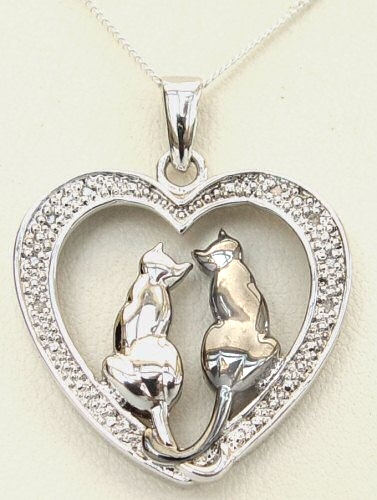 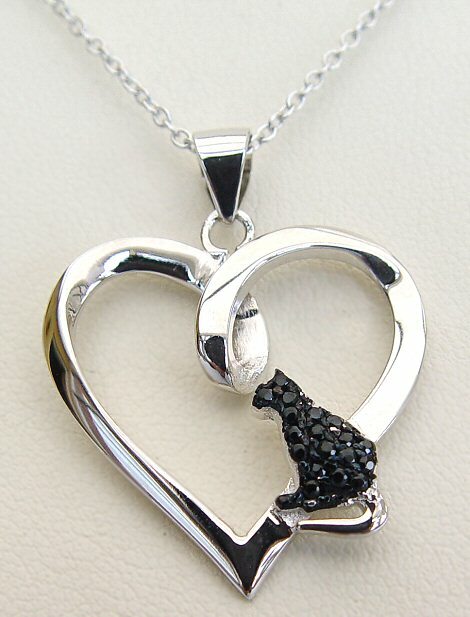 A Sterling Silver heart necklace featuring a crystal covered black Cat. 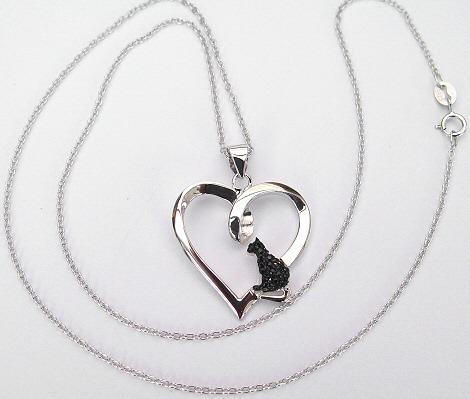 The heart is approx. 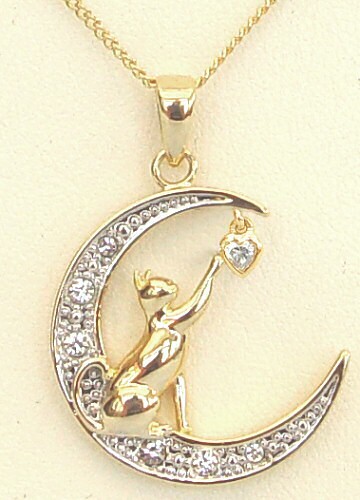 2.3cm wide and 2.8cm tall, including the bail which is marked 925. 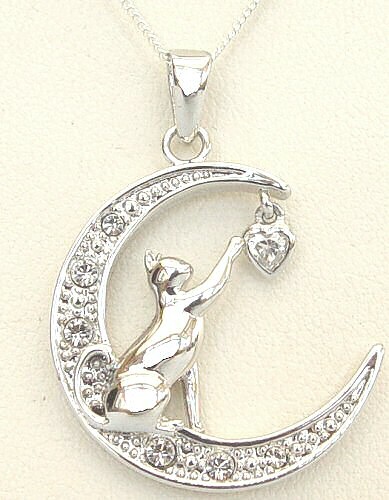 The 18" sterling silver trace chain is also marked 925. 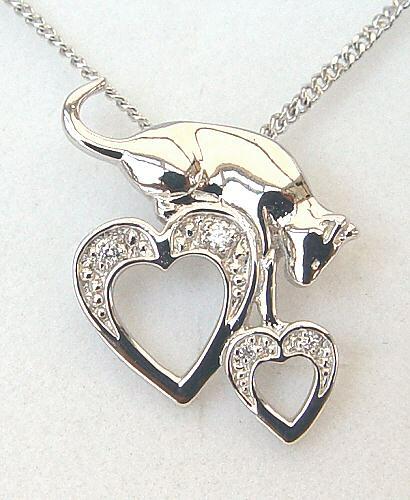 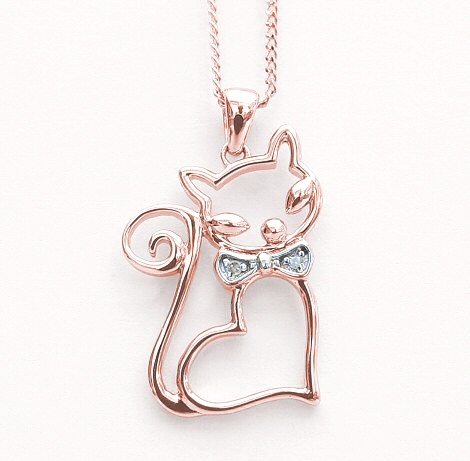 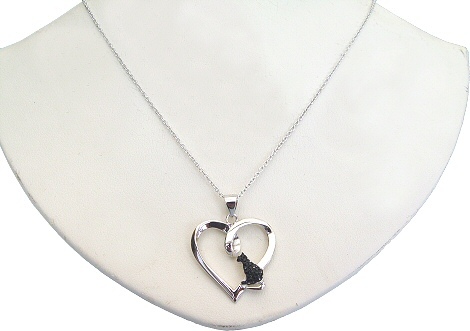 Short Description:- Love Black Cats Necklace: Sterling Silver heart necklace with a crystal covered black Cat.